Who Should Get a Mortgage Pre-Approval? A mortgage pre-approval can be an important part of your pathway to building wealth, giving you a real-world picture of your options: that is, your opportunities as well as your limitations. A mortgage pre-approval will tell you how much you qualify for (you may be pleasantly surprised), what your mortgage payments will be, and you’ll get an interest rate that will be held for a specific time period, like 120 days. If you are purchasing a new home, then you’ll be shopping with a full wallet! You’ll know exactly what you can afford. You want to avoid reaching too far financially for a house you’ve fallen in love with, but you may also discover that you’re ready for the house of your dreams and didn’t know it. A mortgage pre-approval tells you that. In other words, a mortgage pre-approval is always a good idea. Remember, of course, that a pre-approval isn’t a mortgage approval. Make sure you have a financing condition in place when purchasing because your property needs to be assessed by your lender during the mortgage approval process. You’ll need to provide the necessary information such as the offer to purchase, MLS listing, and any other documents required by the lender so they can assess the property. Additionally, any planned financing might fall through if your circumstances change. So be careful with changing jobs, adding debt or missing payments, co-signing another loan, or using your downpayment money. You want to keep your financial situation squeaky clean while you’re getting ready to finance. 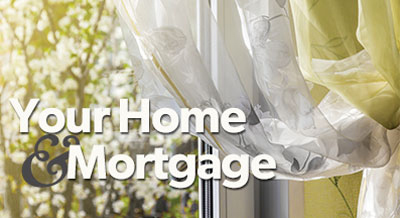 Wherever you are in your mortgage journey, get in touch, and I’ll show you all the possibilities. Is your mortgage coming up for renewal in the next few months? If so, you can expect to hear from your lender. Remember that when your lender gets in touch with you, that is your signal to get advice. Staying with your lender might be your best option, but you should always use renewal time as an opportunity to look around and make sure you have the best deal.